LEXINGTON — It seems like every student, in every successive grade level, has an increasingly natural feel for computers, the Internet, and the latest gadgets. Tweens and teenagers build websites, they program that tricky universal remote control, and they even write entire software programs. But Lexington High School junior Avdeep Sahi has developed a specialty in the latest techy trend: producing iPhone and mobile applications. Sahi, 16, didn’t know anything about programming for Apple’s popular cellphone. So he started learning. Three months later, the town’s public-access television station had its own App Store application, complete with streaming video from its library of TV programs. “I was just curious about iPhones and everything. I owned the first iPod Touch, and I was really fascinated by all the stuff that goes into it,’’ he said. It started with curiosity and a thirst for knowledge. Sahi picked up a few books on programming for Apple’s mobile devices. 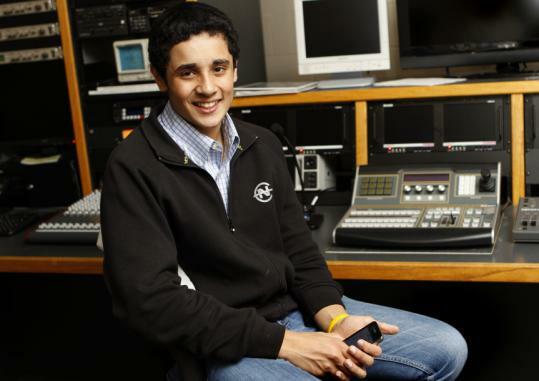 Last summer, when he needed to fulfill his Lexington High volunteer hours, he took the 20-foot walk from his family’s townhouse in Avalon at Lexington Hills to the headquarters of LexMedia, the town’s local-access cable TV system. Sahi spent the summer in LexMedia’s computer labs, grinding out code. When he needed help, he even teleconferenced with programmers in his native India at 3 o’clock in the morning. All of his hard work has paid off for LexMedia. The application allows people to scroll through LexMedia’s archived television programs on Apple media players, including the iPad. Sahi is still working on ways to make the application better. DelSanto said he recently added a new icon, and Sahi said he wants to stream live video from the LexMedia television channels in addition to the “on demand’’ episodes now offered. LexMedia is also in the process of launching a new website, and Sahi will tweak the design to match it. Sahi’s original summer job was caddying at a golf course in Belmont. He watched people swing the clubs and talk business, and his father posed a question about his future. Avdeep does not fit the stereotype of the scrawny computer nerd. He has played wide receiver and defensive back for the Lexington High football team, and he recently brought a little bit of India to Lexington by starting a cricket club at the school. He also created his own show on the public-access channel, “Noise Gallery,’’ which showcases local bands. The Sahis moved to the United States from India in 2007. Avinder and Gurbeena work at Oracle Corp.’s Burlington office. Parents and son agreed that an American education has helped Avdeep to excel both creatively and intellectually. Avdeep hopes to go to a major engineering college where he can continue to learn about computers and programming. But he said he first wants to provide his technical services to other local groups. “I want to do something in software engineering in the future. This is what I aspire to major in college,’’ Avdeep said. The LexMedia application is available online via iTunes or the App Store function on Apple devices.